State of the art fully air conditioned facility ! Gymnastics & More is located in one of the hottest vacation spots on the East Coast. 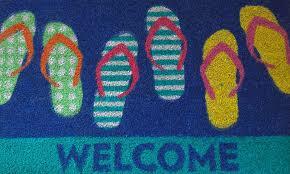 We recognize this and therefore, have a very welcoming policy for visiting gymnasts. We invite all vacationing gymnasts, cheerleaders, tumblers and dancers to practice with us! We know if you are serious about your sport, it is hard to take time off from practice, but it is also nice to have a vacation! SO DO BOTH! Give us a call to find out class times and availability (we do have a student-teacher ratio). We welcome all guests and drop-ins!